Montefalco is a special place in Umbria, a region in Central Italy that is famous for Sagrantino, a grape that is grown nowhere else in Italy. 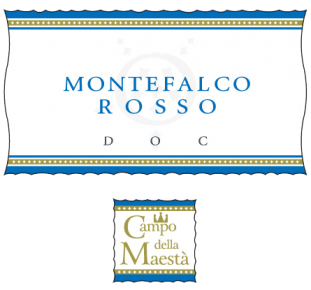 Sagrantino wines are known for high tannins, but the entry-level version called Rosso allows for blending with other grapes (here is 60% Sangiovese, 20% Merlot, 15% Sagrantino and 5% Cabernet Sauvingon), so the Montefalco Rosso from Campo della Maesta’ is a rich wine with black cherry, spice aromas. Perfect balance of tart dark fruit and oak along with a wonderful mouthfeel featuring soft yet grippy tannins. This is a really tasty wine that is super enjoyable to drink with roasts and hearty meals.